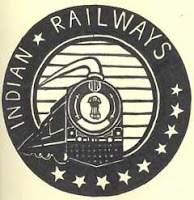 Presenting the Railway Budget for 2009-10 in Parliament, Minister of Railways Kumari Mamata Banerjee announced that there will be no increase in passenger fare and freight tariff. She said that the budget will have approach for ‘inclusive growth’ and expansion of rail network to take development to every corner of the country. Presenting the railway budget she proposed an outlay of INR 40,745 crore for 2009-10. Out of this, INR 2,921 crore will be spent on new lines, INR 1,750 crore on gauge conversion and INR 1,102 crore on passenger amenities, which is 119% more than the allocation in the interim budget. INR 424 crore will also be spent on railway staff amenities. The budget has proposals for 7 new lines, gauge conversion of 17 lines and doubling of 13 railway lines. In addition, proposals for 53 new lines, 3 gauge conversion and doubling of 12 lines will be processed during the year.